The Users section is situated on the Admin navigation bar. Clicking on it will redirect to a whole new screen with details about current users. Most importantly, you can Add a New User, elaborating on personal details (First & Last name, Username & Password, e-mail) and specifying this new user’s functionality (Admin or User, Active or Disabled). 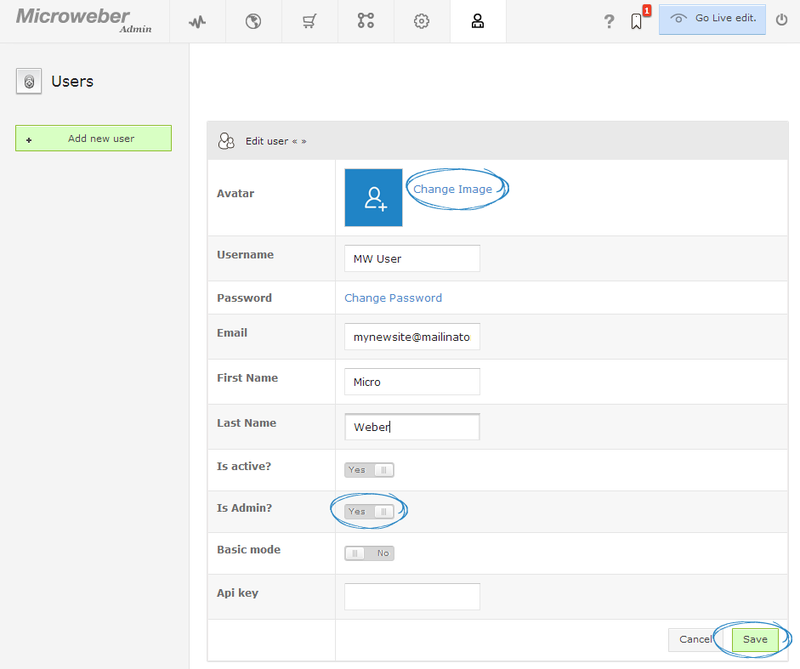 Changing a user’s role or status is easy and can be done by using the slider. 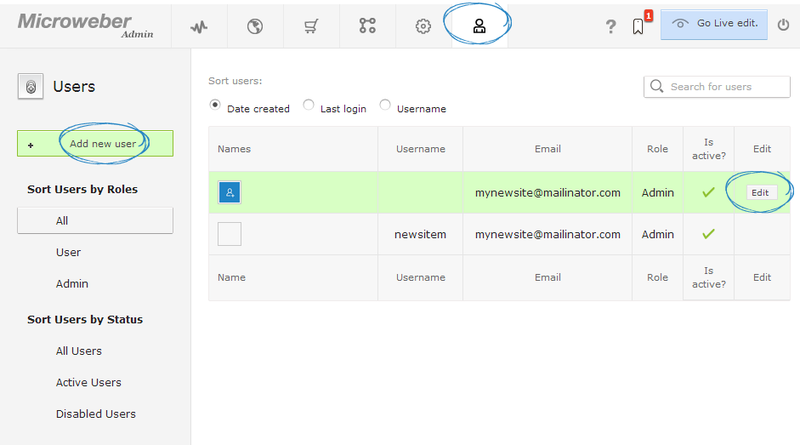 Admins can both log in and edit a site’s content while Users can only log in and comment.